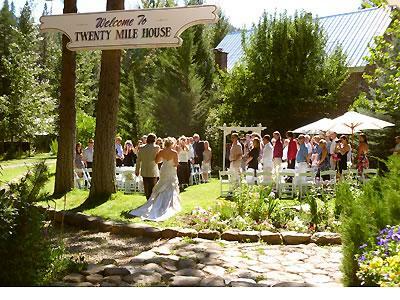 Rent Twenty Mile House | Corporate Events | Wedding Locations, Event Spaces and Party Venues. Imagine your wedding day surrounded by your closest family and friends, magnificent gardens and a backdrop of blue mountain skies, serene forest and flowing creeks, creating memories that will last a lifetime. The Twenty Mile House signature eco-estate wedding package offers you all this and more. The Twenty Mile House offers a signature all inclusive wedding weekend package.